Postsecondary Schools are entrusted with protecting confidential student information both university-wide and in the exchange of data with authorized third parties. Educational institutions are high risk for data breaches. Colleges and universities routinely collect, use and store extensive personal information including social security numbers, health records, credit card numbers, employment records, academic and disciplinary files, and financial information on students (and their families), donors and alumni. GoAnywhere Managed File Transfer has centralized controls, support for popular transmission protocols, and ease-of-use that will prevent redundant efforts and empower authorized users to send sensitive data with confidence. Detailed audit logs and reporting will satisfy compliance regulations which require documentation of where confidential data is transmitted. 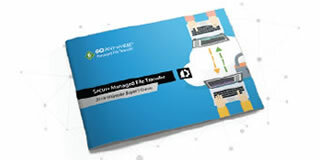 GoAnywhere MFT automatically records and retains logins, file transfer transactions and any encountered errors. Automated processes and transaction alerts allow IT staff to disconnect from business processes, spending more time on other mission critical tasks and projects. "Templates and the graphical user interface [in GoAnywhere] offer the ability to quickly customize FTP jobs that need it. For every project it's helpful." When old hardware running manual scripts for transfers became obsolete, Northwestern University was tasked with replacing their systems with a secure solution that was feature-rich but not too complex or expensive. Running on a newer Linux 5 server, GoAnywhere encrypts and automates over 115 ongoing FTP projects. The university uses GoAnywhere for everything from processing applications and test scores to validating students for controlled garage access.